Please contact me with any questions or comments. Thank you. 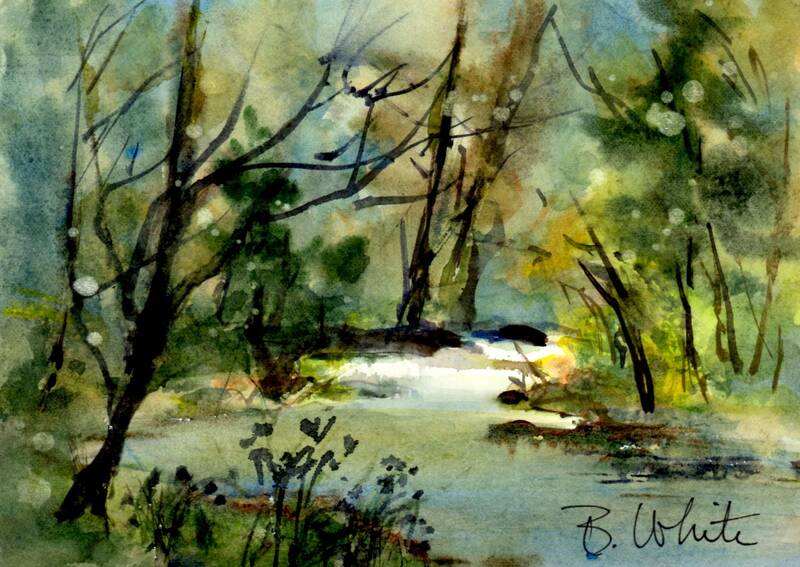 BonnieOriginal small watercolor painting along a river bank. It should be matted and framed to 8x10. You can usually purchase frames and mats in that standard size for a really reasonable price, or take it to a frame shop for professional results. You are buying the painting only.